Issues (see below): Detailed information on nuclear and clean energy issues. 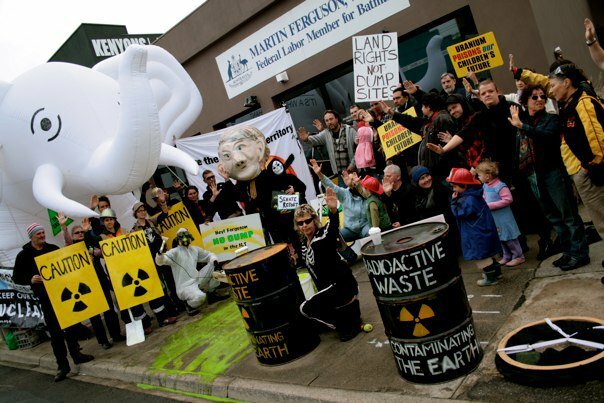 Links page including contact details and websites for Australian anti-nuclear and environmental groups. Infosheets - collection of 2-page PDF information sheets on Australian nuclear issues. If you can support FoE's Anti-Nuclear & Clean Energy campaign financially, please donate. CHOOSE NUCLEAR FREE is a collaboration between the International Campaign to Abolish Nuclear Weapons, the Medical Association for Prevention of War and Friends of the Earth, Australia. Once you've selected a site and wind direction, click on the place marker for information on resettlement and radiological control zones. This interactive map illustrates two key points about nuclear accidents. Nuclear accidents can spread radioactive fallout over a very large area. The radioactive fallout pattern can be very random − it depends on prevailing weather patterns and topology. You might be reasonably close to a nuclear accident and be largely unaffected ... or you might live a long way away but suffer much greater impacts because of local weather patterns.